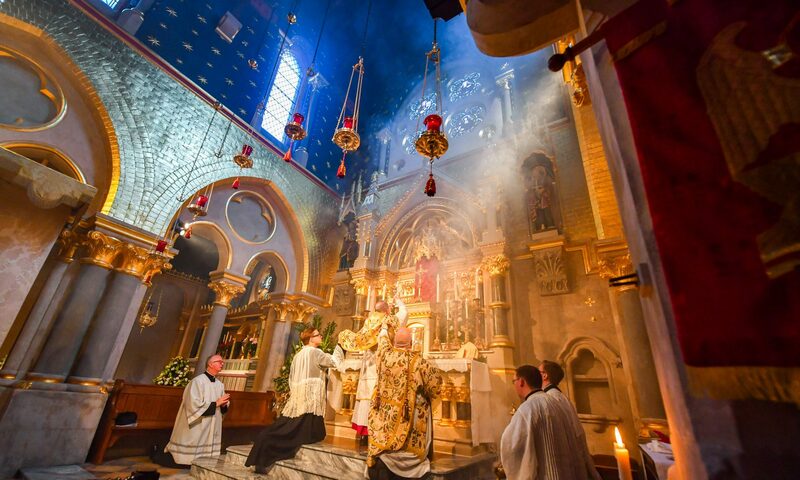 Corpus Christi is the Shrine of the Blessed Sacrament and there are seven Sanctuary Lamps burning before Our Blessed Lord in the tabernacle each week, as well as one before Our Lady and one before the Sacred Heart in the entrance porch of the church. These burn for seven days, before being replaced. If you would like one, or more, of these Sanctuary Lamps burning for you or a particular intention of yours, please fill out the form below and make a donation through the PayPal button below. If you do not want your intention to appear on the Newsletter, please write “Private Intention”. Contact number or email address for queries. By leaving a phone number, you consent to being contacted by phone.